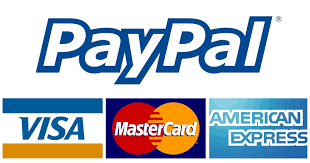 Andes Alpes Expeditions accepts online payments with PayPal, (if you don’t have a Paypal account you can pay with your debit or credit card as a PayPal guest) and we also accept accept wire transfers or deposits to our bank account and US$ cash payments at our office in Latacunga or Machachi El Chaupi. Our offered prices and rates are net prices in US$, depending on the payment form charges, fees and/or commissions which are chargeable to the client may apply , e.g. paypal +5,5%. On your final invoice we credit you with the US$ net amount of the prepayment or payment we received. In order to make a payment with Paypal or credit card to our Paypal account (account holder: Fernando Iza (fer_izaecuador@yahoo.com), please confirm the amount (pre-payment and/or remainder) to be charged with Andes Alps, then click the “PayPal” button below, you will be prompted to fill in the amount and your payment details. In order to make a payment by wire transfer or deposit to our bank account in US$, € or CHF please contact us for banking information and to confirm the amount (pre-payment and/or remainder) to be charged. Tour Operator & Travel Agency for Adventures trips and outdoor vacations in Ecuador. Copyright © 2019 Climbing Chimborazo. All rights reserved.